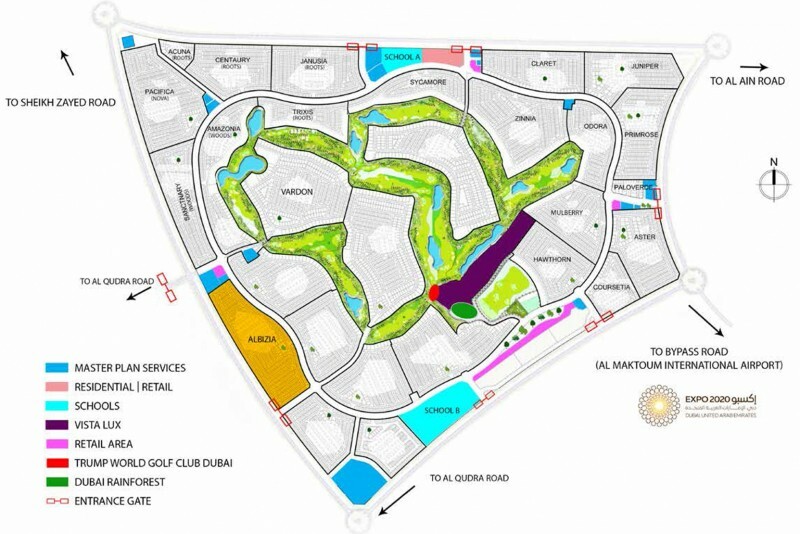 Akoya Oxygen (not to be confused with Akoya, a similar development about 15 km away) is a new secluded residential development set around a Tiger Woods Design golf course being developed by Damac Properties. It is located in the desert of south DubaiLand about 30 minutes drive from the city centre. Construction is underway and the project is due to be completed in 2018. One-click links to properties currently on the market in Akoya Oxygen. 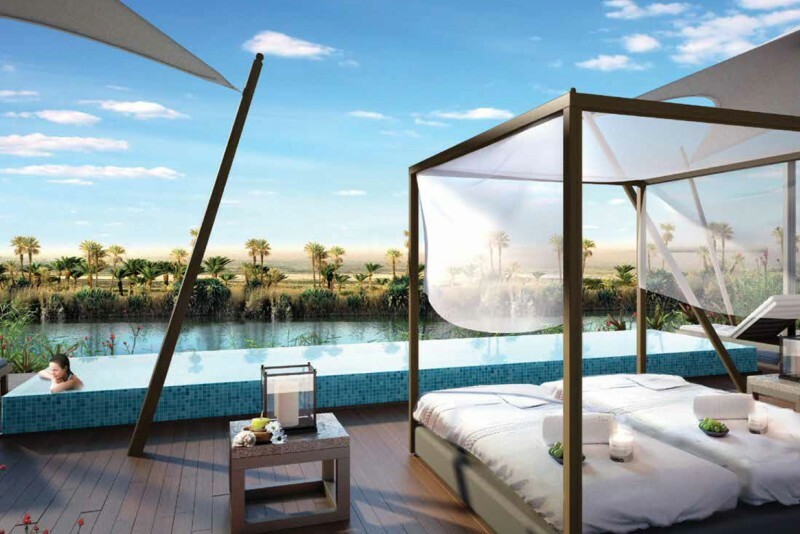 Amenities include a luxury spa complex with outdoor showers and plunge pools, a yoga enclave inspired by the lotus flower, and an organic fresh market where residents can buy and sell the freshest fruits and vegetables. The restaurants will use eco-responsible interiors using FSC certified wood and Energy Star qualified windows along with bio-degradable tableware. 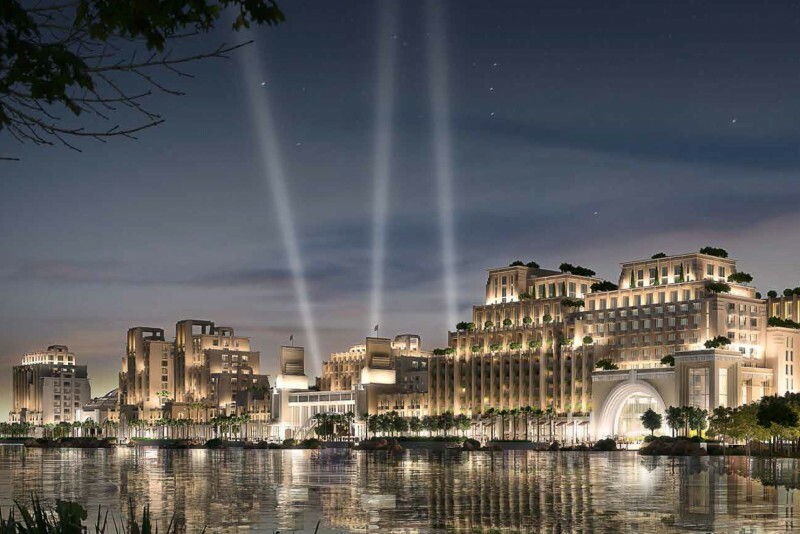 A waterfront retail, hotel and leisure complex called Vista Lux has recently been added to the project. 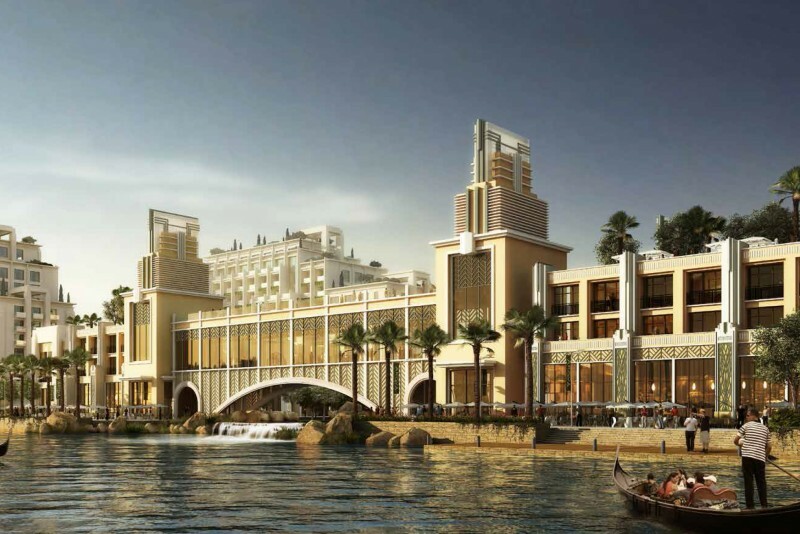 The architect's drawings suggest it will be similar in style to the Madinat Jumeirah complex in Umm Suqeim. 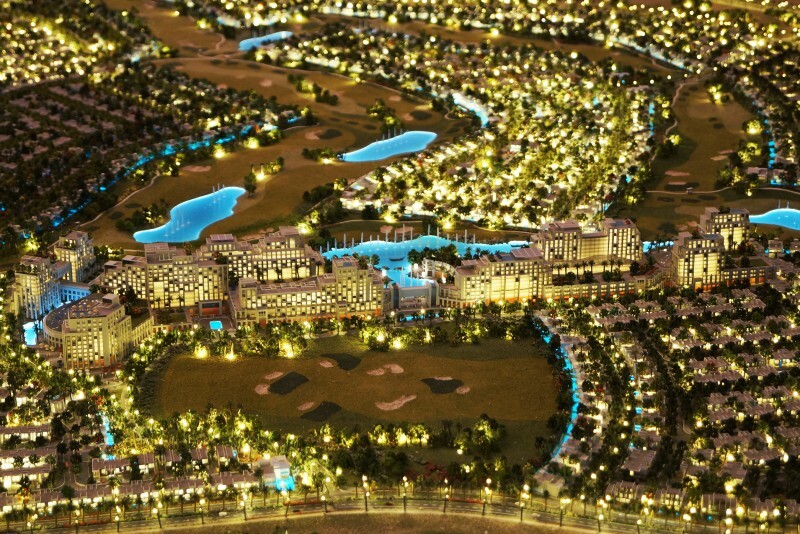 Residents and visitors can explore the community via abra or monorail, and waterways will flow amongst buildings and meander through the Trump World Golf Club Dubai, connecting the community. 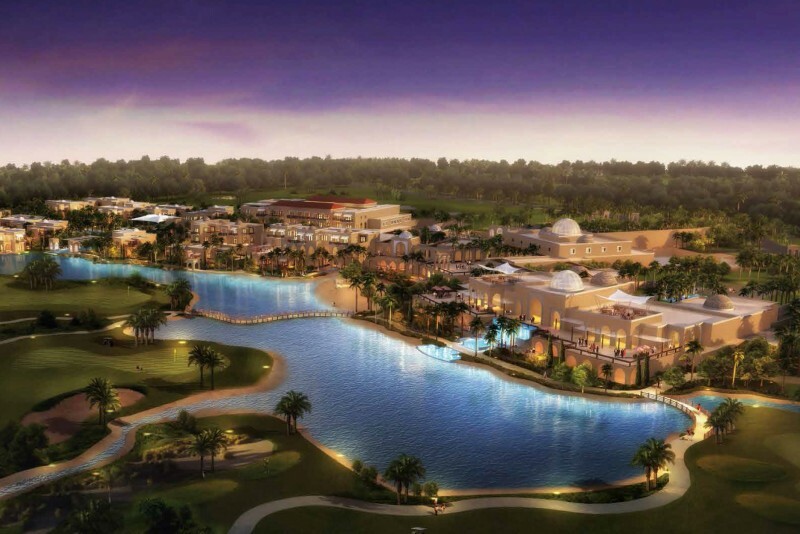 In 2015 Damac announced a plan to build the region's first rainforest as part of the Akoya Oxygen community. The Dubai Rainforest was described as an educational and cultural dome designed to recreate the natural environment of rainforests. Visitors would be taken on a journey through the jungle, starting on ground level, before climbing up into the canopy to learn about the habitat’s flora and fauna. They would then be able to fly through the treetops on a zip wire or just relax in the Rainforest Spa, with its hydrothermal treatments, rock pools and steam baths. 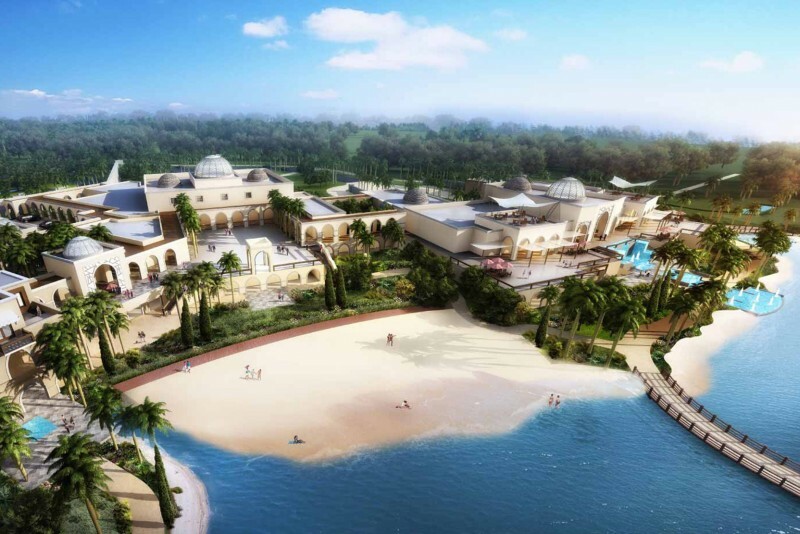 The Dubai Rainforest was due to be completed in time for Expo 2020, but the project appears to have been abandoned at Akoya Oxygen in favour of a similar project that opened at Green Planet in City Walk in September 2016 . 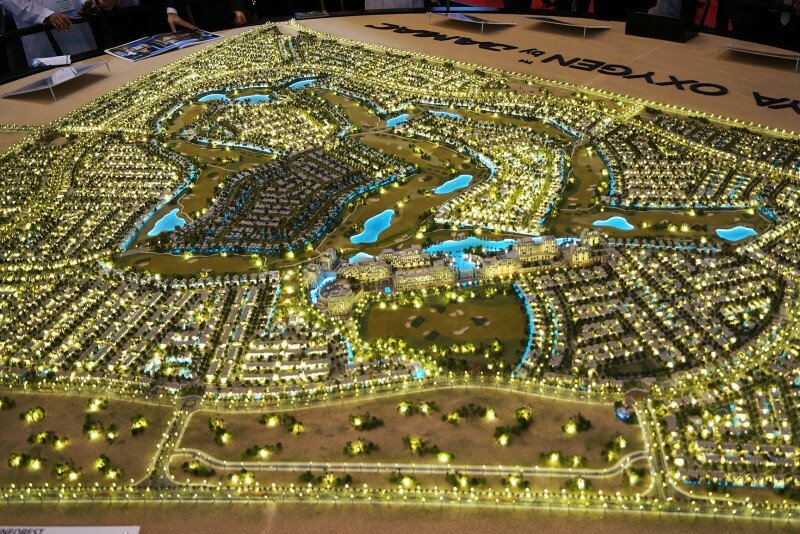 The project is a resurrection of the 2006 Tiger Woods-Dubai project originally proposed by Tatweer. Construction of the golf course and club house was started but the project went on hold in 2009 due the global financial crisis before being cancelled entirely in 2011. 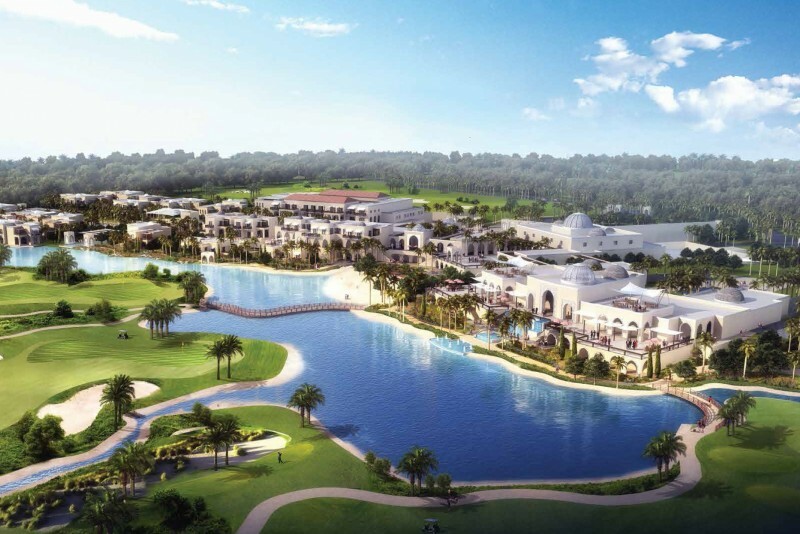 The land and the commercial agreement with Tiger Woods was bought up by Damac Properties in 2014 and re-branded as Akoya Oxygen. The golf club is now titled "Trump World Golf Club Dubai" with the course designed by world famous golf champion Tiger Woods. In 2006 Tiger Woods used his playing experience and extensive knowledge to launch Tiger Woods Design which has completed a number of prestigious projects in the US and Mexico. He will introduce elements from some of the world’s finest golfing destinations to the 18-hole Championship course at Akoya Oxygen - from classic Scottish links courses to famous parkland courses in America and the sandbelt courses of Australia. The Akoya Oxygen community promises to offer cleaner air, naturally cooler temperatures and a carefully designed master plan and road network system designed to reduce pollution, with dedicated spaces for bicycles and hybrids. Homes will feature energy efficient materials, air conditioning, lighting and controls along with low-emission paints and solar water heating systems. Refuse will be separated for recycling where possible. Stretching the limits of design, the Trump World Golf Club Dubai will feature a 30,000 square foot state-of-the-art clubhouse, world-class restaurants and an expansive pro-shop. There will also be the finest practice facilities, complemented by PGA qualified teaching professionals. 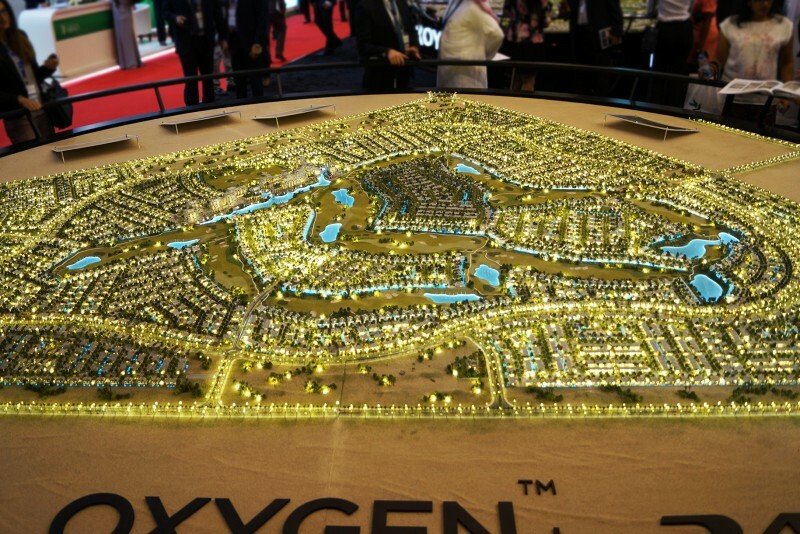 Akoya Oxygen is sub-divided into the following communities: Paloverde, where owners are invited to personalise their villas, Claret (120,885 square metres), Juniper (116,896 square metres), Primrose (128,897 square metres), Aster (125,920 square metres), Coursetia (60,964 square metres), Zinnia (181,860 square metres), Odora (89,701 square metres) and Sycamore (88,514 square metres). There are 3 house types: Oleander, Celosia and Rivina which range from 3 to 6 bedrooms. Building work is under way again with new construction contracts signed and the project is expected to be completed by 2018. We currently maintain records for 39 sub-communities in Akoya Oxygen. We currently maintain records for 4 building developments in Akoya Oxygen. 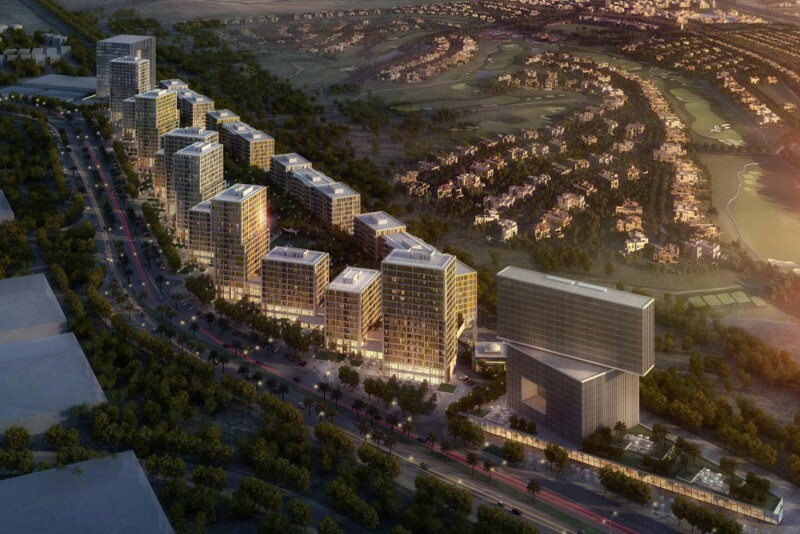 View all Akoya Oxygen building developments.